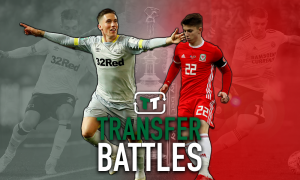 Derby County standing firm on City target | The Transfer Tavern | Where football transfer rumours fly or die! The future of Derby County starlet Will Hughes is up for debate in the Football Transfer Tavern, with Tom Hopkinson of the Daily Mirror revealing he is unlikely to join Manchester City this January. The champions have sent scouts to watch the highly rated 17-year-old on several occasions, but the Rams are adamant they do not want to sell. Reports have emerged that City are preparing a £10 million bid for the midfielder, in a deal that could see a City player move in the opposite direction. However it is understood the Pride Park-based club consider the proposed figure a long way short of their valuation, with manager Nigel Clough desperate to keep the player for the remainder of the season. 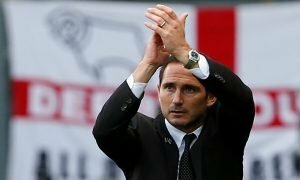 Derby are pushing for the play-offs, and Clough knows it is imperative they keep hold of Hughes if they are to reach their target. Despite his age, Hughes has appeared 31 times for the East Midlands side since his first team debut in the 2011/12 campaign and his eye-catching displays have even earned the youngster a place in Stuart Pearce’s England Under-21 side whereby he replaced Josh McEachran in a friendly against Northern Ireland in November last year. How good is Will Hughes? Vote in our polls below.